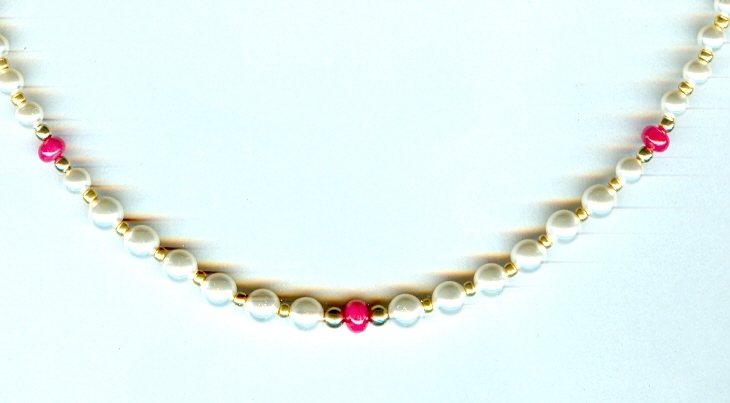 Rubies -- July?s birthstone -- take make everything else take a back seat in this dramatic choker necklace. 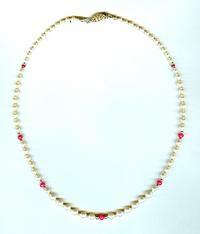 The 17-inch strand features roundel rubies graduated in size from 3mm to 5mm. The Swarovski crystal pearls that space the rubies also range in size from 3mm to 5mm. 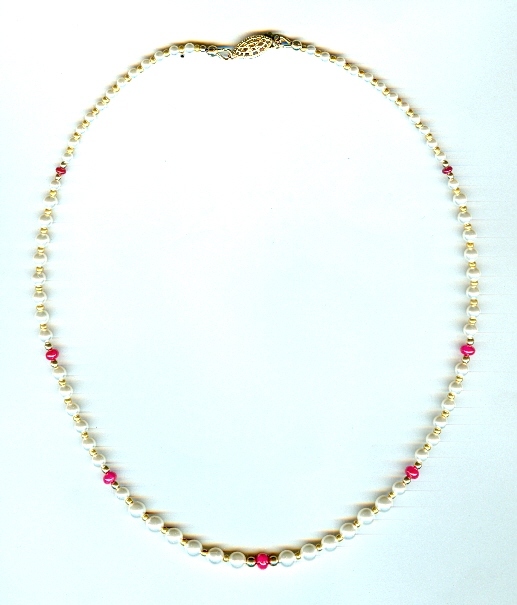 The necklace also features 14 kt gold-filled beads and findings (note the fish hook safety clasp), and metallic gold glass seed beads. Absolutely gorgeous, it?s a splendid gift idea for the July-born, or for the lady who loves red.